by Mary Epner | Sep 2, 2015 | Digital, U.S.
For the first time in years, two major licensed properties are hitting theaters this fall, driving new product interpretations across apparel, accessories, home and more. The hotly anticipated titles: Star Wars: The Force Awakens and the new Peanuts movie — the first new Peanuts film in a generation, and the first in modern 3D animation—are opening in December and November respectively, yet licensed goods are already in stores, and are moving briskly. We’re seeing interpretations from high to low price points with excitement at both ends of the market. What seems different this time around is how licensed goods are hitting stores months before the films release, and with Star Wars specifically, we’re seeing spoiler-alerts, normally reserved for plot twists, revealed for toys and merchandise. 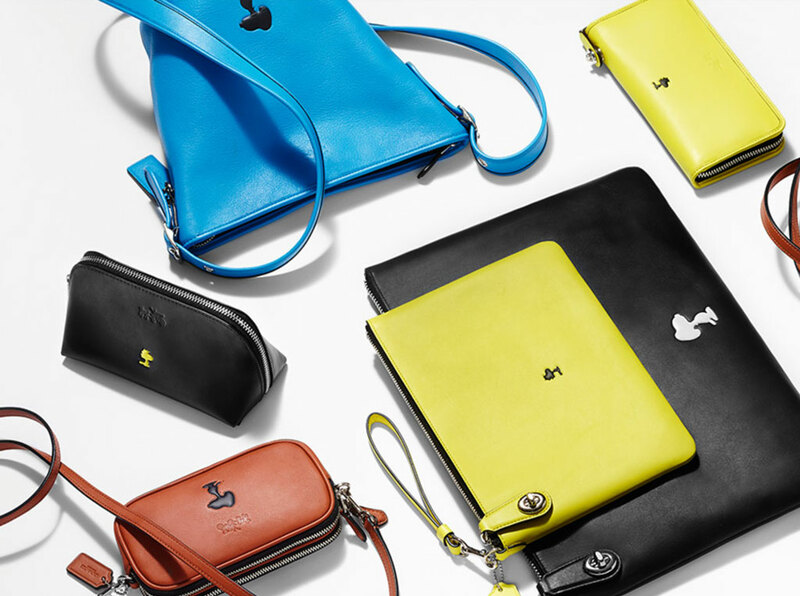 First up, we spied Coach’s Peanuts-themed accessories with an embossed Woodstock and Snoopy on brightly colored leathers, pictured above. This mashup of aspirational luxury and licensed goods takes a page out of Disney’s collaboration with MAC cosmetics (think the sellout Villains collection). The appeal seems to be a combination of unexpected newness combined with nostalgia and smart timing. With Star Wars: The Force Awakens, we’re seeing some classic (new but pre-Force Awakens) apparel and soft goods merchandise released for Back-to-School. September 4 has been dubbed “Force Awakens Friday” for a massive, all-at-once release of toys and licensed goods. One example of apparel is represented at the Adidas store where we spotted their Star Wars: The Force Awakens tees (a fun collaboration that is certain to attract the young and young-at-heart consumers). Early leaks indicate pent-up demand for all things Star Wars, especially with collectable toys and figures. We’re also seeing some unexpected collaborations with CoverGirl getting into the game (maybe taking a page from the successful Disney/MAC Cosmetics collaborations), introducing a line of Star Wars-inspired makeup. 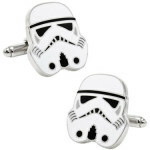 The appeal for both properties is cross-generational, with a decidedly adult take on many pieces including graphic tees and accessories, such as the pictured storm trooper cufflinks available at JCPenney. We predict high consumer interest in these movies and by extension, related merchandise across categories and retailers. The key to success will be having unique designs and unexpected interpretations. We’ll be tracking merchandising implementation across mass merchants, department stores and specialty stores throughout the next two quarters and report back who’s doing it right.